Beit Jann leads nation with 99% graduation rate, while haredi city of Modiin Illit comes in last with just 7%. 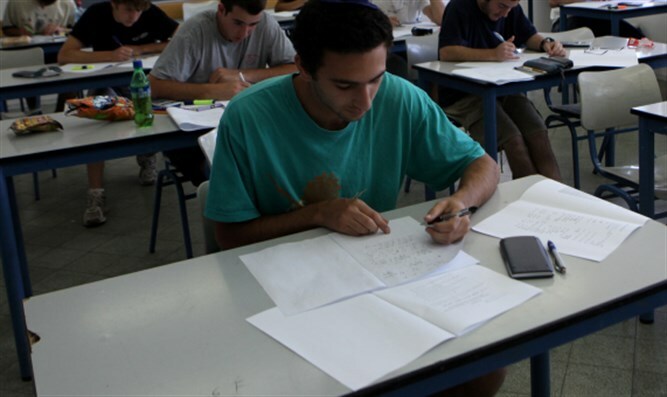 JTA - A Druze town in northern Israel for the second straight year had the highest rate of students passing the high school matriculation exams. Some 99 percent of students in Beit Jann, located in the Galilee, received their diplomas, or Bagrut certification, in 2015, according to Education Ministry figures released Monday. The rate was up 4.6 percent from 2014. The average graduation rate nationwide was 65 percent. The haredi town of Modiin Ilit was last with 7.33 percent. Most haredi children learn in the semi-autonomous 'Atzmai' (Independent) education system, which does not provide the standard Israeli Bagrut matriculation exam, leading to relatively low levels of state-recognized matriculation within the haredi community. However, haredi students continue studying Talmud and Judaic studies on an extremely high level without state-sponsored examinations.. The ministry released the figures in advance of the school year, which starts in most communities on Thursday.